Usually the superficial veins are affected (superficial phlebitis). 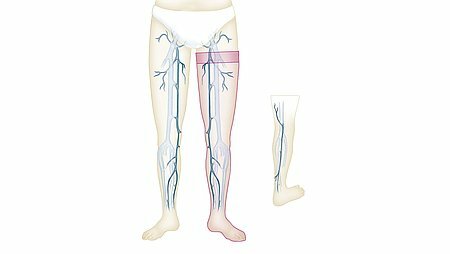 The inflammation occurs often in connection with varicose veins in the veins of the legs, although the veins of the arms and, rarely, the veins of the face and neck can also be affected. As a rule, phlebitis is restricted locally and can sometimes be very painful. The affected segment of the vein is visible as a red, warm and often swollen area on the skin. Inflammation caused by bacteria may cause fever. A specialist (phlebologist, angiologist, vascular surgeon, dermatologist) must be consulted immediately: blood clots (thromboses) may develop as a result of the venous inflammation. If a deep leg vein is inflamed, this may cause a thrombosis that is also called deep vein thrombosis or phlebothrombosis. If the thrombosis is swept into the lung, this is called a pulmonary embolism, and it can be lethal. A slower blood flow is the most common cause of venous inflammation. It leads to inflammatory reactions on the weakened venous wall that is often predisposed by varicose veins. 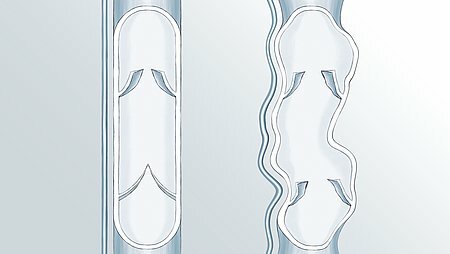 But venous inflammation can also occur where the vein is squeezed together over long periods by overly tight clothing or, for example, a hard chair edge. Another common cause is indwelling catheters that doctors place for infusions or giving medication and remain in the vein for several days. Venous inflammation can also be caused by an injury to the venous wall or by penetrating bacteria. It can also arise after operations and longer periods of confinement to bed. How is venous inflammation treated? What happens if venous inflammation remains untreated? Inflammation of superficial veins that is diagnosed and treated promptly often regresses within a few days without any complications. If the symptoms of venous inflammation remain untreated, it may spread and cause pain lasting several weeks. 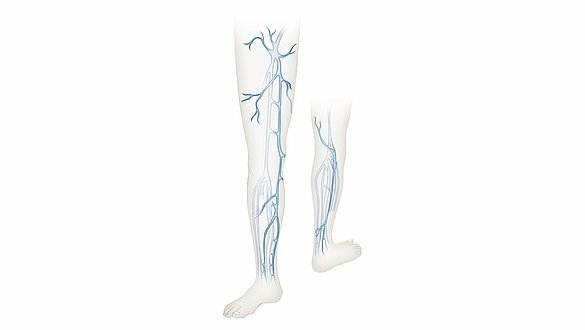 The situation is especially precarious if the venous inflammation occurs near a branch into the deep venous system. If this is left untreated, it may cause deep vein thrombosis with the risk of a dangerous pulmonary embolism. Here you can find more information about compression stockings from medi.